Sunday: Back home – Helen Walter, Ph.D.
Our last morning started with Breakfast with Jen. 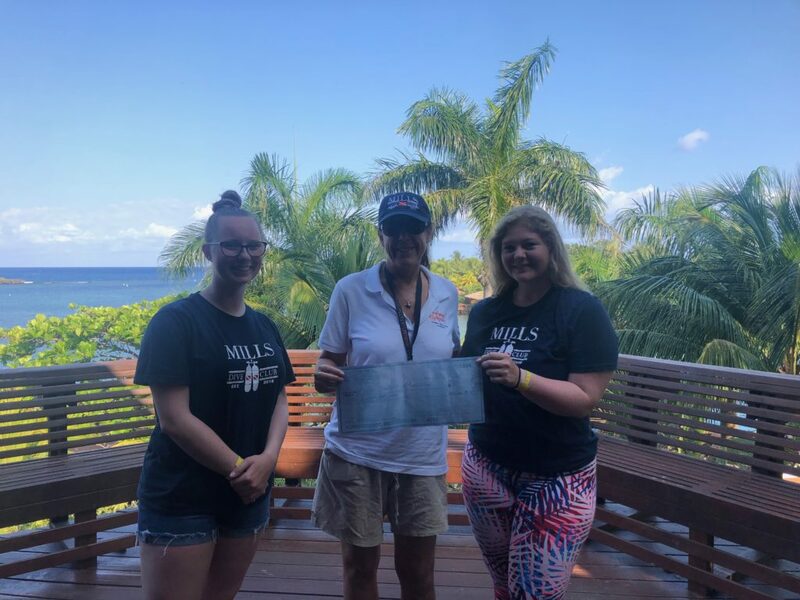 We’d presented her with a Mills dive club hat and gave her the check for the reminder of the money we’d raised for our coral trees. Some of us did a little gift shopping and a few goodbye’s on the island, while others finished packing and some took some time in the sun. It was then time to load up on the shuttle and head to the airport. After about 15 minutes we were dropped at the airport where we checked in for our flight home. Bags were checked in, forms filled for immigration and then we headed through security to wait at the gate. Some of the students got food while we waited for our 2:16pm flight back to Dallas Fort Worth. Shortly after dinner finished it was time to get back on another plane, this time our final flight home. We arrived a little early back in San Francisco, grabbed our checked bags, and some students headed home from there. For the rest they got on the van, we got their bags in Chicora’s truck and then headed home to Mills. We arrived around midnight and said goodbye to the students. Class will finish with a presentation of their research on April 17th! So not long to go. Lastly, I want to finish by saying thank you to all that followed. The students did a terrific job, and it is my hope we can continue to offer classes like these at Mills where the students see an impact on the world. 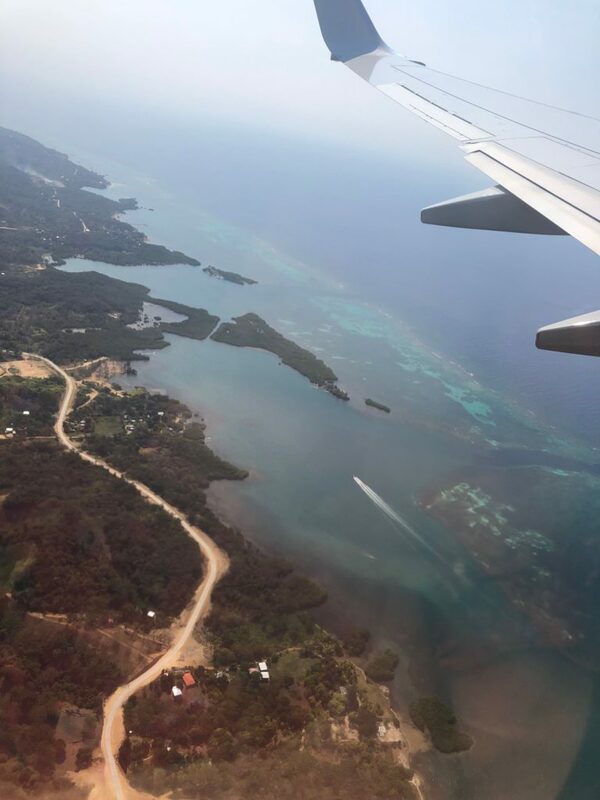 It’s so important for our youth to travel and see new cultures and have new experiences. We will be fundraising for coral restoration going forward, so if you would like to donate please let us know. I hope you enjoyed reading our adventures!